We will get your home warm again. If your radiators are leaking, or you think your heating system needs a power flush, or even just a general service for an old system, then we can help with our servicing options. We can get rid of dirt in the pipes and inside radiators, using chemical cleaners to flush our your system, removing any residue which could be reducing the heat output. We have a wealth of experience solving a whole manner of different central heating problems. Our heating engineers can accurately locate the central heating fault, and if possible repair it on the same day. We can repair boilers, central heating systems, hot water cylinders, towel rails, and more. Our engineers can also repair, replace and even relocate your radiators. No-one likes coming back to a cold home. If your central heating isn’t functioning correctly, it can make life miserable to you and your family, especially during cold weather. Here at Family Choice Plumbing, we can quickly and efficiently fix your central heating, often on the same day, to get your home warm in record time. Call our certified heating engineers in Bolton today! We offer a no obligation quote, same day callouts and fully insured work. Call us today on 07861 700 335. 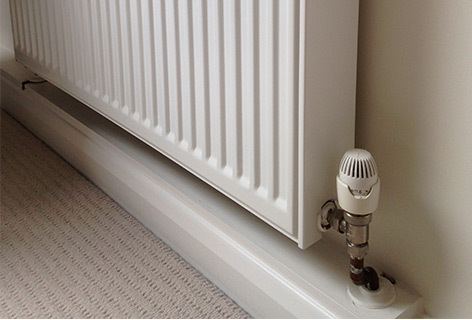 We specialise in all types of heating systems, ranging from simple radiator fitting, to full underfloor heating. With the knowledge and experience of our team, we know that we will be able to fulfill your heating needs. We take safety very seriously here at Family Choice Boiler Repairs, and that’s why our gas engineers are not only gas safe registered, they are also fully covered by liability insurance. Condensing boilers have a smaller valve, which can make it more likely to become clogged with dirt and residue, making a power flush service important. You can see listed above some of the aspects of Heating that we cover, so if you are in need of any type of heating system either domestic or commercial, please contact us today on 07861 700 335. All of our engineers are Gas Safe registered, as well as having full public liability insurance, giving you peace of mind that all of our jobs are performed to the highest standard. We also perform gas water heating testing, to ensure your home is safe. If you’re a landlord that needs a gas safety certificate, we can help with that too. Call us today on 07861 700 335 for a no obligation quote. Learn more about our boiler servicing and repairs for Bolton here.